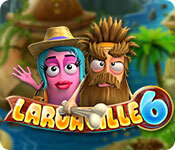 The ghosts are back for a pirate treasure adventure in Laruaville 6! There exists an island which rises from the depths of the ocean only once a year and only for a short time. Pirates have learned to hide their riches on the island for safe keeping, but the ghosts have found a way to unveil the treasures. Help them find it! Laruaville 6 is rated 4.0 out of 5 by 23. Rated 5 out of 5 by a41249 from The Ghosts Are Back Number 6 in the laruaville series is more challenging than the other ones. You have to collect coins and you have obstacles in your path. If you like the Laruaville Series but want more of a challenge ,this is the game for you. Rated 5 out of 5 by Bumbles2 from This game is definitely a keeper !!! I enjoy every minute of this match 3 game...it holds my interest and hasn't let go yet !!! LOL The graphics are superior...easy to see in this game. The artistry is beautiful and well done and thats what I like...I hate having to get my magnifying glass out to see things. The music is very pleasant to listen to...it isn't the least bit annoying. There's not too much of a story-line to this one....they're looking for gold that pirates stashed on a small island...and I guess that's about all I can say on that one. I love this game and I've put it on my wish list...I hope you'll enjoy it as much as I did...play safe and have fun all !!! Rated 5 out of 5 by pennmom36 from DIGGING FOR GOLD Our friendly ghosts are back and are on a pirate treasure hunt. Laruaville ghosts found a message in a bottle from plundering pirates whose ship was sinking. The message told them that the pirates had buried their treasure all over the island that only appears once a year. There's very little time, so start digging for gold mates. Keep this in mind when playing this game, it's all about the coins, don't worry about obstacles UNLESS they are standing in the way of getting to a coin. Coins are collected when you make at least a Match 3 adjacent to them, beside them, over them and directly below them. 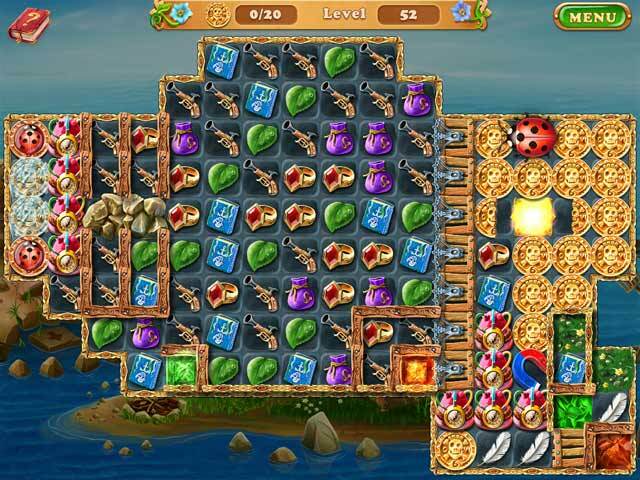 You want to try to match at least 4 tiles to receive a pack of dynamite, or other power-up, because many of the obstacles require a power-up to destroy it in order to progress. Some Coins are in half, requiring matches next to them to make the halves come together in a straight line. Eventually there are Dirty coins that need a power up to clean, Icy coins that require fire, coin molds to fill with Gold to create coins, Vials that need filled, and coins with Locks and keys that need joined, along with obstacles such as Ground, Clay, Stones, Fire, Ice, Fog, Rocks, Shielded Crates (require matches on unshielded sides to destroy) and even Bugs! This Match 3 game is unique and quite challenging. You can play in Relaxed mode, or choose between Limited Time or Limited Moves. There are a few new features available in this 6th edition including Morphing Powerups that allow you to click on the powerup of your choice as it morphs but only for a few seconds, so get your Match 3 game on and enjoy! Rated 4 out of 5 by flutterbyz24 from Digging for Gold? Overall this installment of Laruaville is pretty good. I miss the variety of "other" games like the cards and the mah-jongg tiles that were present in previous installments. 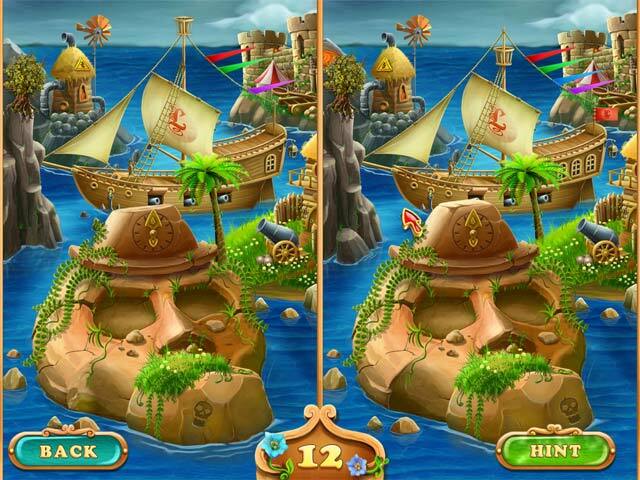 I am not a fan of find the difference puzzles therefore those are a throwaway for me. My favorite of all installments is still number 4 but this one is good enough to play more than once! Rated 3 out of 5 by JLMarsh from Disappointed I have all the Lauraville and was somewhat disappointed to not have some mini games and no show of your score and not having to buy something to build. It just wasn't as entertaining as the rest. It was an okay game but I think #2 was the best of all of them as it had different mini games intertwined in the story. I hope #7 if there is one, will bring back some of the older stuff and keep some of the new stuff. Needs to be combined to make all the Lauraville's connect. Rated 3 out of 5 by bessiegirl from Not quite as impressed this time I have the whole Laruaville series and I love them, however this one was fun, but didn't seem as challenging and a lot of the same-o, same-o which got a bit tiresome after awhile. However, I do play on "relaxed" mode so maybe its a better challenge on timed. There are the bonus games (40 of them) after the initial game is finished, which continues the play without the "builder" option. Some of those can be quite challenging and use a bit of planning. Rated 3 out of 5 by cowclaudia from Same old Laruaville Much the same game play and goals as previous five games. Like the morphing power ups but otherwise pretty much the same as the others. A good game if you don't want a lot of mental stress but like another previewer think they need to come up with some new ideas. Will recommend it for anyone wanting just relaxation from doom and gloom. Rated 3 out of 5 by gyanda from Strange things I love this game. Have all of them. The best one for me is the third game, because it has all it needs - wonderful graphics of this restoring the spring, summer, autumn and winter - nice gameplay with this burning chips - and a good quality of challenge. Since then the game developers push the game in a different direction - and i don't get it. Here in this game we have "bonusplay", which only means, that there you can test your frustration tolerance... a bonus is normally something you get for having worked good or having got a good mark - here it is just given out of no reason and it is not at all a pleasure to play it, because these games are extremely complicated - they even warn you "you might get stuck" - really something you want for a bonus... then we have this "available treasures" - which i also don't get at all as you can do nothing with it.. there are several choises given like "flag down", etc. - but you cannot hit on these buttons - they are mere decoration - and the info that there are 4 treasures doesn't help at all, when you cannot use this menue to do anything or make something done... i do not get this gameplay-parts, i do not even think they are necessary at all. The normal game is just like in the other games, and it was much better done in the third game than here... it is all "blink-blink" but no essential improvement. I bought it although so many things do not work, as the normal game is fun as always, but the developers should rule back and keep the gameplay-parts simple, the best game was the third game. Start from there again and then make improvements! Rated 2 out of 5 by sereneorchid from Adding more bombs doesn't make for a new game I fell in love with Laruaville, and quickly bought Games 1 - 4. 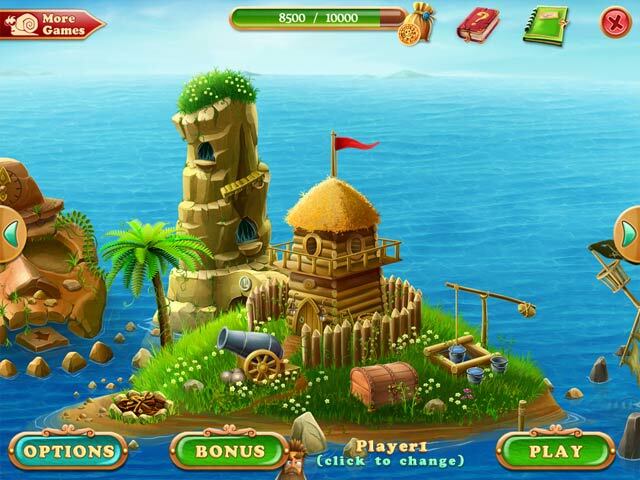 The graphics and animations are bold, bright, and cheerful. No tiny, dark objects here. The various power-ups and levels are clever, creative, and entertaining...actually addictive. And the notion of friendly ghosts was a relief from vengeful spirits in so many games. Now, come Games 5 and 6. Way too many obstructions and power-ups on a single level. It is confusing and annoying. The game also doesn't do a good job of introducing and explaining the various power-ups, and it got so I couldn't remember what the various bombs did or why they popped up in the first place. I'm disappointed not to have loved Game 6. I absolutely encourage you to visit Laruaville, but if Game 6 doesn't suit, give Laruaville 1, 2, 3, or 4 a try before deciding this series isn't for you. I liked the mini-games in the earlier versions, especially the what's-the-difference between these two pictures: devilishly clever and cute! Rated 2 out of 5 by greenshade from Gone is the challenge to these games I used to be so excited to see a new one in the series and have played and replayed games 1 through 4 over and over again because of the unique challenges in each of those games. Starting with number 5 we are given bombs galore and I find the main challenge now is in NOT making bombs. Basically, now they are all cookie cutter games with the same bombs, the same layouts, only the title/story are different. For me, I will continue playing 1 - 4 for all the unique challenges that I never get tired of. Rated 1 out of 5 by Grammia from waste of time the bonus games were just more of the same or following instructions that a child could accomplish. Boring and trivial.